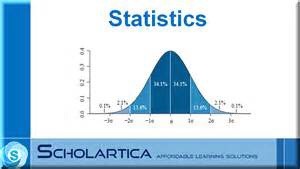 If you ever learn anything about statistics, it must be that no amount of statistical analysis can prove a cause and effect relationship between anything. All you can prove with statistics is that things are ASSOCIATED with each other. The best example of this I can think of is the debate around smoking and disease. As far as I know, no one has proved a direct link or causal effect between smoking and disease. No scientist can explain why some smokers get disease and others do not. No one can explain why one smoker gets cancer while another gets heart disease. No one knows exactly what about tobacco is unhealthy. No one can explain how George Burns lived to be 100 years old smoking a cigar every day. Of course smoke has bad chemicals in it but so does the air we breathe and almost everything we consume, especially since the government approved drugging livestock and feeding them (and us) genetically altered food. We do know with a very high degree of certainty that there is a strong ASSOCIATION between smoking and disease. We just cannot explain the causal factor(s). If we could, we would do something about it. I never did believe the attacks on the tobacco industry were justified because no one can prove cause. The attacks are about money and not much else. The tort liability vested upon tobacco manufactures served only to raise the price of the product while creating a windfall for States that as far as I know have not spent much if anything of the appropriated funds they received on smoking prevention. If the government is really serious about smoking, it would not give Medicaid cards out to smokers. For that matter, it would use EBT to incentivize people to engage in more healthy lifestyles in order to reduce Medicaid expenditures down the road but that is the topic for another blog. If you are now boiling mad at me for making these assertions, I have you where I want you to make a point about statistics that you might remember. To cite just one example, there is similar controversy about diet drinks. There have been a number of studies that show that diet drinks may be as bad or worse for your health than cigarettes. “Researchers from the University of Texas found that over the course of about a decade, diet soda drinkers had a 70% greater increase in waist circumference compared with non-drinkers. (1)”. “Drinking one diet soda a day was associated with a 36% increased risk of metabolic syndrome and diabetes in a University of Minnesota study. Metabolic syndrome describes a cluster of conditions (including high blood pressure, elevated glucose levels, raised cholesterol, and large waist circumference) that put people at high risk for heart disease, stroke, and diabetes (2). “Using diet soda as a low-calorie cocktail mixer has the dangerous effect of getting you drunk faster than sugar-sweetened beverages, according to research from Northern Kentucky University. The study revealed that participants who consumed cocktails mixed with diet drinks had a higher breath alcohol concentration than those who drank alcohol blended with sugared beverages. The researchers believe this is because our bloodstream is able to absorb artificial sweetener more quickly than sugar (3). “Just one diet soft drink a day could boost your risk of having a vascular event such as stroke, heart attack, or vascular death, according to researchers from the University of Miami and Columbia University. Their study found that diet soda devotees were 43% more likely to have experienced a vascular event than those who drank none. Regular soda drinkers did not appear to have an increased risk of vascular events. (4)” All of these citations were from just one article. If you do not believe me, do your own internet search. This makes me wonder why the government and the tort lawyers are not after the soft drink industry if its products CAUSE all of these maladies? People that fall into the trap of believing that statistics prove cause and effect would draw the incorrect conclusions from the following examples of extremely high statistical associations. These associations are described as spurious correlations where the statistics say that things that cannot be related are associated with each other. Uninformed analysts or liars would infer or imply that there is a causal effect. What do you think about these examples? US spending on space, science and technology correlates with suicides by hanging. The correlation coefficient is 99.79% Maybe people are actually killing themselves when they come to the full realization about how much money the government is blowing. There is an association between the per-capita consumption of margarine and the divorce rate in Maine. The coefficient of determination is 99.26%. Some would conclude that in order to eliminate divorce in Maine, all we have to do is outlaw the consumption of margarine. Drownings resulting from falling out of a fishing boat can be explained by the marriage rate in Kentucky (R Squared = 95.2%) In other words, in order to eliminate drownings in fishing accidents, we need to outlaw marriage in Kentucky. I guess the Supreme Court recently took care of that. I would recommend that fishermen start wearing life vests. There are a number of examples of spurious correlations on the internet. The point of these examples is to sensitize you to the fact that statistics do not and can not PROVE cause and effect. Sometimes associations found in statistical analyses are spurious. This is why you are paid the big bucks – to understand what you are looking for, to not fall into this trap and to apply cognitive analysis to anything you see to prevent you from drawing the wrong conclusion(s). As I have said before, as leaders we are not paid for what we do. We are paid for what we know and more than anything, we are paid for our decision making capability. My point in writing this is to argue for the use of more analysis and evidence in executive decision making in healthcare administration. They even have a Doctorate of Science Program at The University of Alabama at Birmingham that focuses on this very concept. Previous Are you into ‘sadistics’?